Are you a UAV platform manufacturer, or a distributor, or a service provider or a technology / components supplier to the industry? So you can really consider the opportunity of being there with your company, your brand, your products and services. 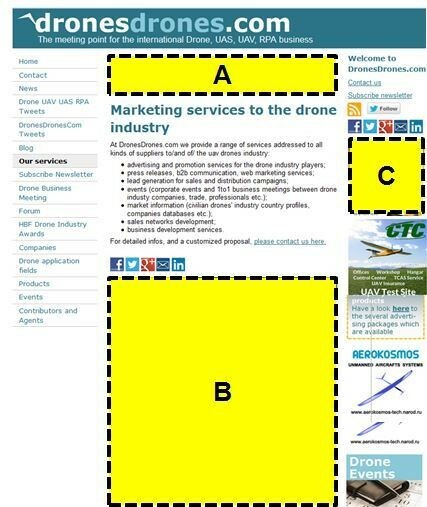 At DronesDrones.com we only publish 20 advertisers or less at any given time, including our own services’ advertising. Every advertisement is visible in a rotation in every page of this site. $ 124.00, monthly, to advertise in the whole website, in 100% of DronesDrones.com pages, rotating with overall 20 advertisers. Invoice and payment in advance every 3 months. For a 12 months subscription you can enjoy a 20% discount, that is $ 1,190.40 a year instead of $ 1,488.00, that is, only $ 99.20 a month. In this case the full payment in advance is required. In case you want to multiply your advertisement frequency and therefore your visibility (for example rotating 2/20 or 10/20 instead of 1/20) just multiply the rate (for example 2 * $ 124.00 or 10 * $ 124.00). Please note that, together with your presence and visibility in the website, your company and your brand will enjoy a massive communication activity through our social networks’ accounts, and many website pages and visibility dedicated to your events, your products, your company. 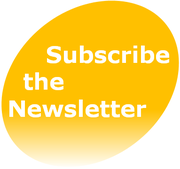 As a regular advertiser, just send us your press releases on weekly basis and we’ll publish them in the blog, in your dedicated page, and through our twitter account (@dronesdronescom). Being visible in DronesDrones.com means much more than simply “advertising”. In case you can send us only 1 or 2 sizes it's OK, but you'll miss the opportunity to have your advertisement displayed in many points of the DronesDrones.com site. There's a wide range of services we deliver. Advertising, informations, lead generation campaigns, events etc. : see some details here. In case you know the drone industry, or you are willing to develop your business with us, by promoting DD services in your country, let's get in touch now!